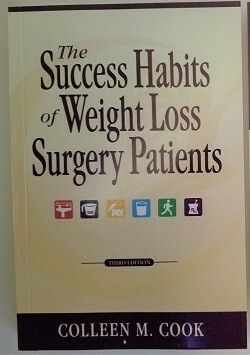 Research-based, surgeon recommended, The Success Habits of Weight Loss Surgery Patients book is the # 1 bariatric best seller. The principles taught, continue year after year, to be a standard for success throughout the bariatric community. The Success Habits Principles are now taught in bariatric programs all over the world and are recommended by many bariatric centers, surgeons and health professionals. They provide structure, clarity and simplicity for all weight loss surgery patients as they reach and maintain a healthy weight. Help ensure your patient’s lasting success by providing this essential resource. Prices include shipping. Prices list in the chart below are AUD, however, shopping cart prices are listed in USD.